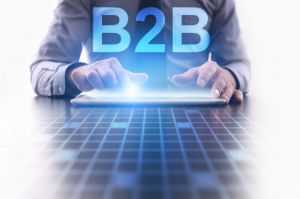 B2B marketing warrants slightly different tactics to typical B2C marketing. For your B2B marketing to be successful, you’ll need to develop tried and tested strategies and use them consistently. You may be selling to other businesses, but it should not be forgotten that these are still customers. You are providing products and services to businesses that will probably end up in the hands of consumers. For this reason, you should aim to know all you can about both the businesses you market to and the consumers at the end of the chain. We know, we know. It’s hard to stay off social media these days and it’s very time consuming. It’s where a lot of your customers are whiling away their days though, so you may as well kill two birds with one stone by getting some sales out of your social platforms. Facebook, Instagram and Twitter are now operating with businesses in mind. They want your business, and as a result they are providing decent platforms for you to utilize. Again, you’ll need to know what you’re doing in order to make it work, but it’s worth the effort. Figuring out the benefits, quirks and nuances within each platform will bring you more reach, more presence and (if used correctly) more sales. Your customers will happily fire questions at you over social media, so it helps to maintain a consistent online presence and to be on the ball with getting back to enquirers. The more you can do this, the more trust is established and the more sales you’ll get from your social media platforms. B2B marketers should also make the most of LinkedIn, which makes it easy for you to approach the businesses you want to sell to. Hit and hope is never a good strategy in B2B marketing. Although it sometimes works out for the best, analysing your success is by far a more intelligent strategy. If you know what is happening with your ROI (return on investment) and are keeping a close eye on customer activity, you’ll be in a much better position to strike while the iron is hot, so to speak. You will also have a much better overview, so you’ll be able to pinpoint which strategies are a waste of time exploit the lucrative opportunities, making them a standard part of your campaigns. Ultimately you’ll want to keep your budget as low as possible and your ROI as high as possible. Competent analysis is the best way to do this. It is also wise to keep a close eye on industry trends and implement changes to incorporate them. With time, you will have honed your strategies and systems for the best possible ROI. It’s certainly not the first time we have sung the praises of quality content as a top marketing tactic, but B2B marketers need to pay close attention to the substance of what they are putting out there too – as well as the methods they intend to use to get it in front of people. Volume is important, yes – but that doesn’t mean you can afford to scrimp on quality. This can be a big job when you’re a business owner with a million and one tasks to complete each day, but it is crucial for the success of your business. If you have to hire someone else to do it, make sure that they have the ability to understand your industry and your goals, as well as the prerequisite writing talent. SEO should never be overlooked, but you probably know that by now. If you don’t know about the current trends in SEO, it is a sensible move to spend time educating yourself thoroughly; this includes becoming familiar with the current status of Google’s dreaded algorithms. If you don’t think you’re up to the job, don’t simply overlook it – hire a ‘man who can’. Your content needs to be as relevant as you can muster, otherwise the search engines are likely to ignore it. Consider your plan for getting that content in front of your target businesses. Are there any holes in this? What makes you think it will work? Getting this wrong can have a detrimental impact on your business that is tough to correct. Dependent on the kind of business you are running, your strategies and content will need to be tailored specifically and presented in a way that best suits your business reputation. This can be a little overwhelming for first time marketers, B2B or otherwise. If you want to be sure not to fall into the abyss on your first attempt, play safe and use the skills of an experienced, successful marketing agency. Optimasit have a reputation for the best online marketing in Marbella for a reason. We are based in Marbella but online marketing can obviously be done, well, online! So don’t worry if you’re not our closest neighbours – we can still help. Get in touch.